I know there are a number of people who are skeptical of social media as a communication channel and are concentrating more on SEO and search versus growing their business through social media. Let me give you a big reason, why you might want to rethink this way of thinking. Google Search has gone local. If you look on the left-hand side of the page, you will see an item which says “Change Location“. The location defaults to the IP Address of your machine. 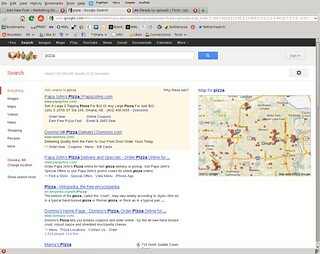 As a result, you receive local search information. I believe this is to help those mobile users who are searching for companies, restaurants and services. They want to call or visit a local company and by moving search to a more local basis, it helps people find options in the immediate area. Now, you can get around this by putting in “United States” in the Change Location box, but how many consumers know this and are actually doing that. As a result, if you are seeking national clients, you will need to get your message communicated on a larger platform. Social Media is one way to achieve this goal. 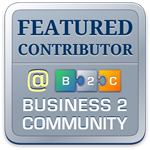 Twitter, Linkedin and Google+ can provide you with ways to communicate locally and internationally. Check your Google Analytics Account! Everyday, new people are coming to this site from areas outside of the United States. As Marketers, you need to adjust your course and plan for the inevitable. How can you marry SEO and Social Media with respect to your webiste and company presence on social media? You have your work cut out for you if you are a national company. If you are a local company, your job may have gotten a little easier… It’s an interesting time. The next time that social media guru stops by your office, ask him/her if they can get you to the top of the first page of Google. If they answer yes, take it a step farther and ask them to show you the type of work they have done with other companies. Then ask them, if they only work with local companies or if they also have experience with search on a national level. You will not find this information in any SEO book that I have seen in the last few months.I live and breathe this everyday and I think this topic will be huge going forward. Mobile and Local Search are having an impact on the way we search for information and everyone must adapt. What steps are you taking right now with respect to this topic?